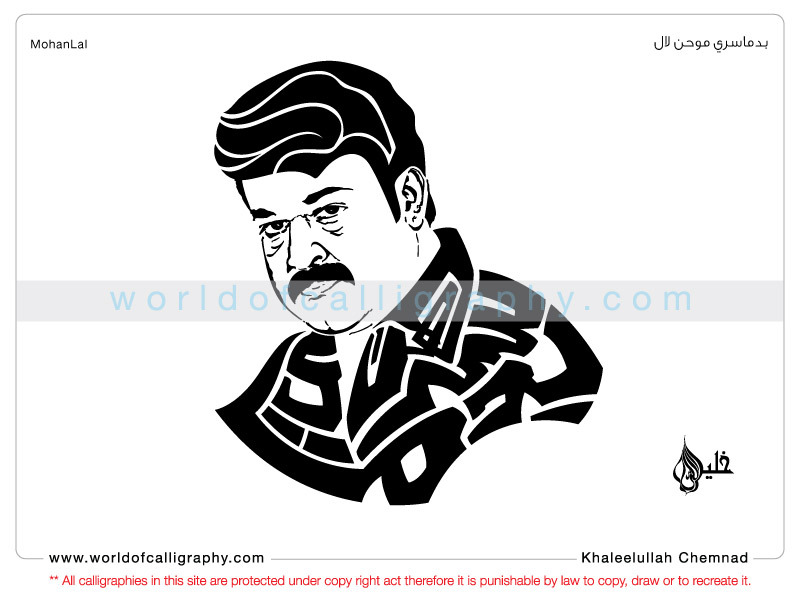 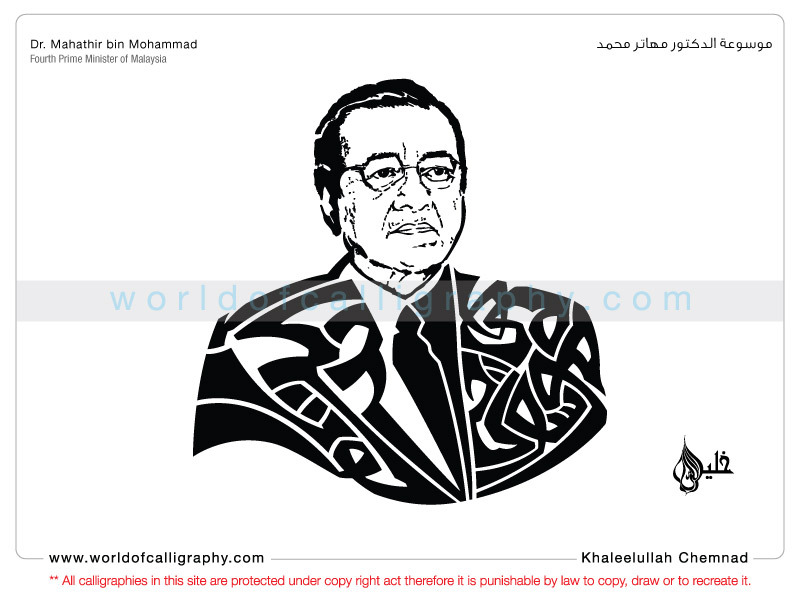 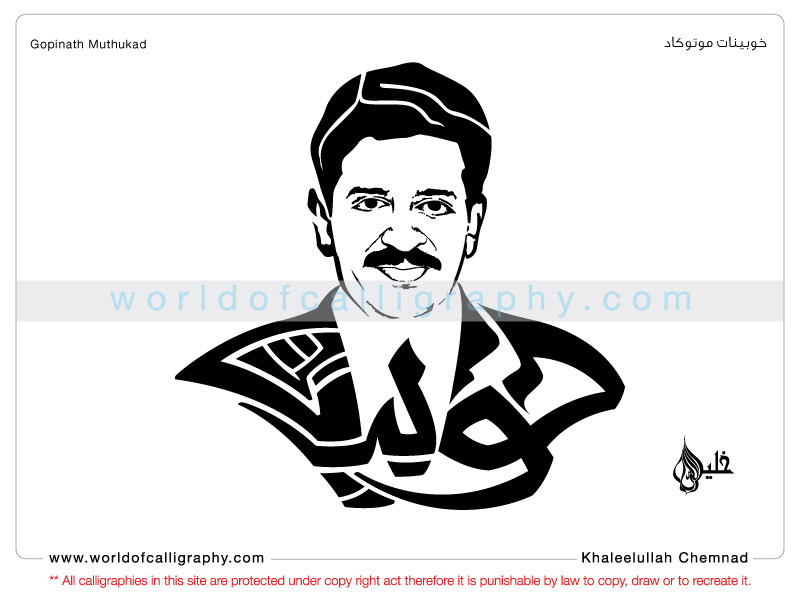 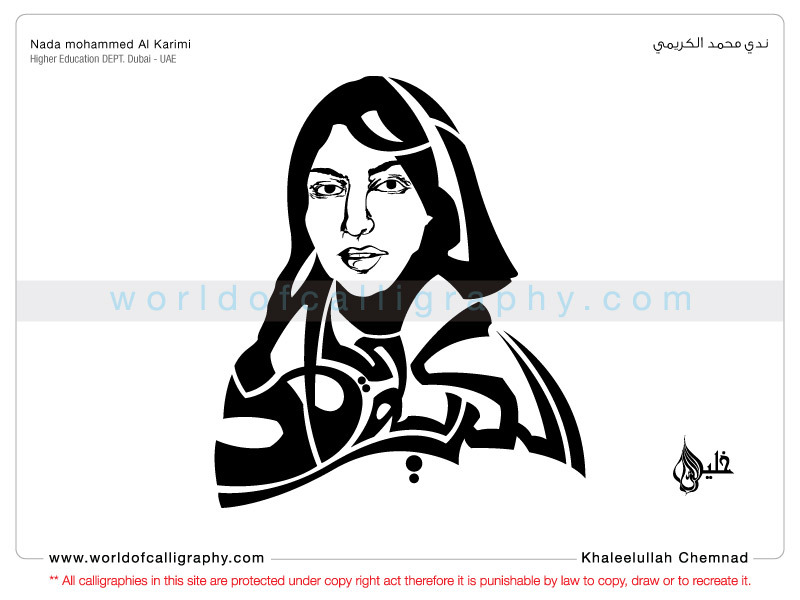 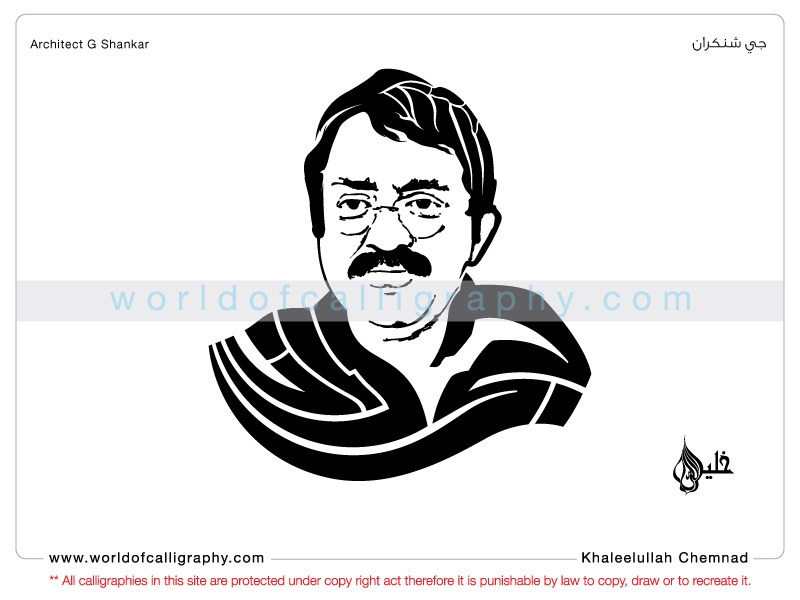 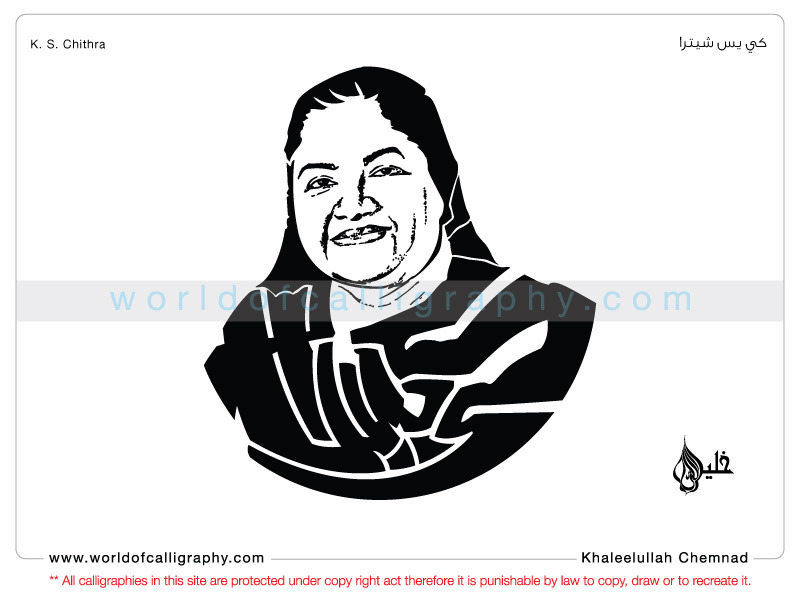 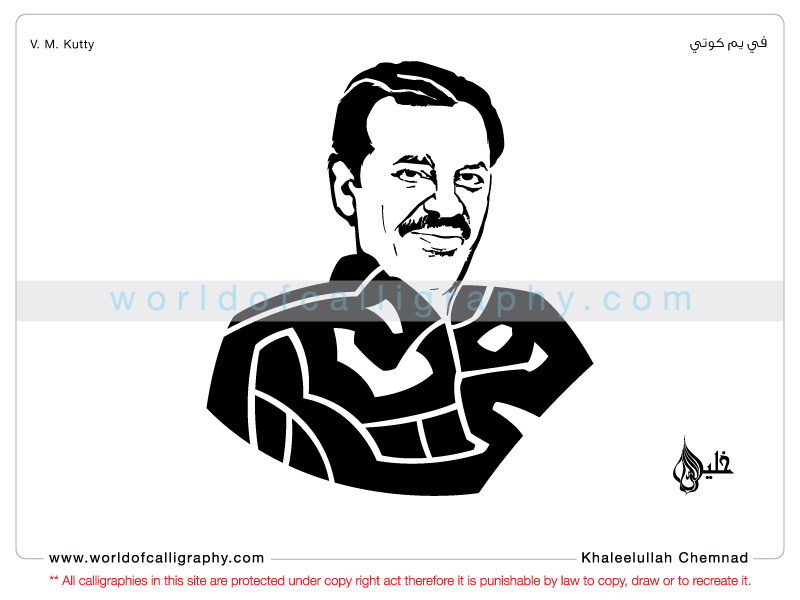 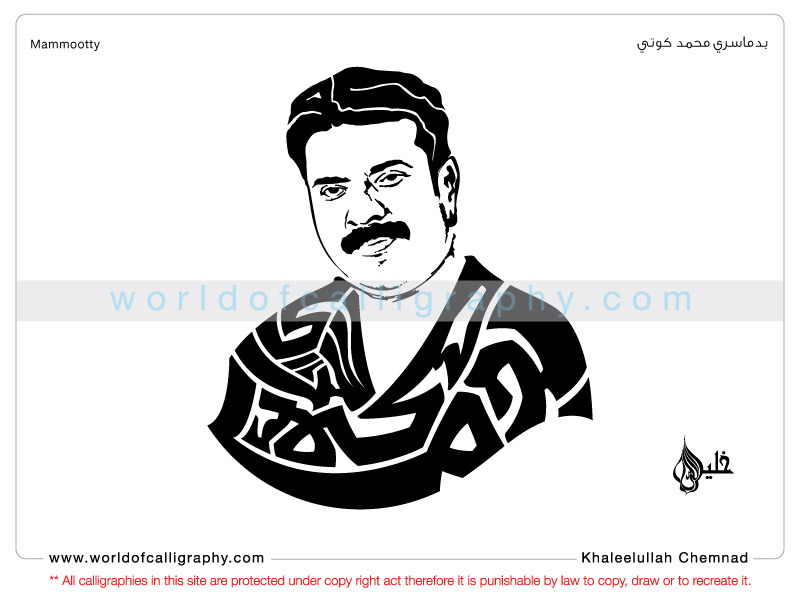 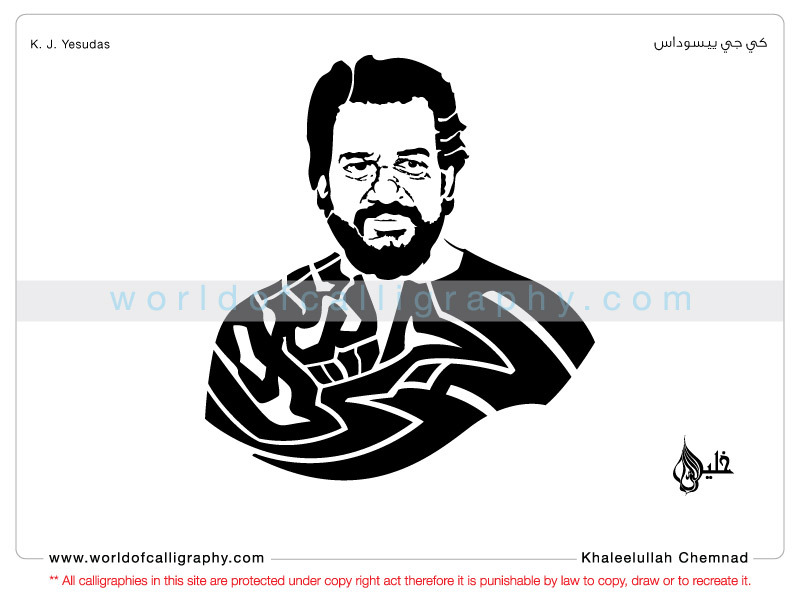 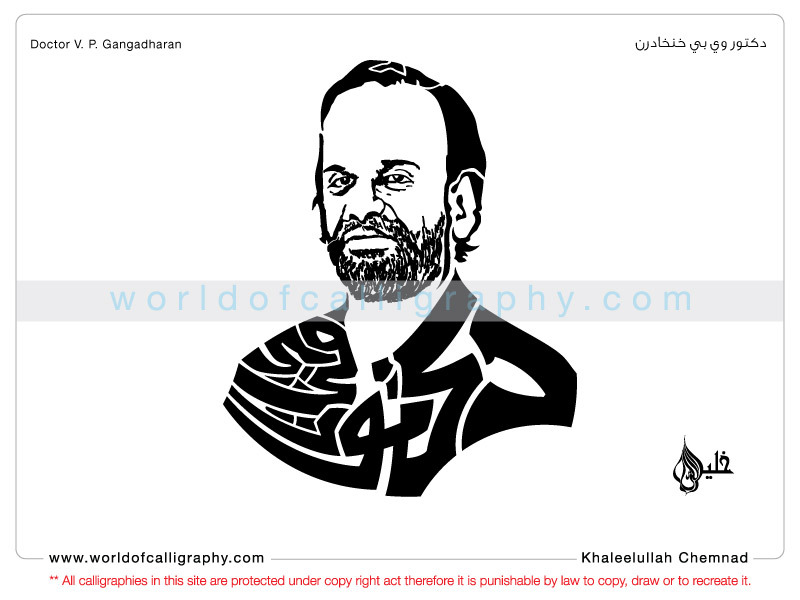 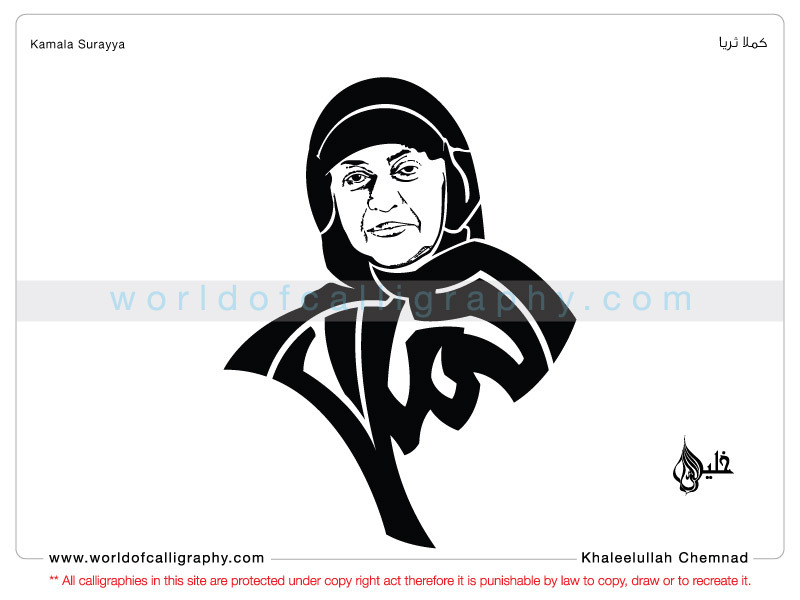 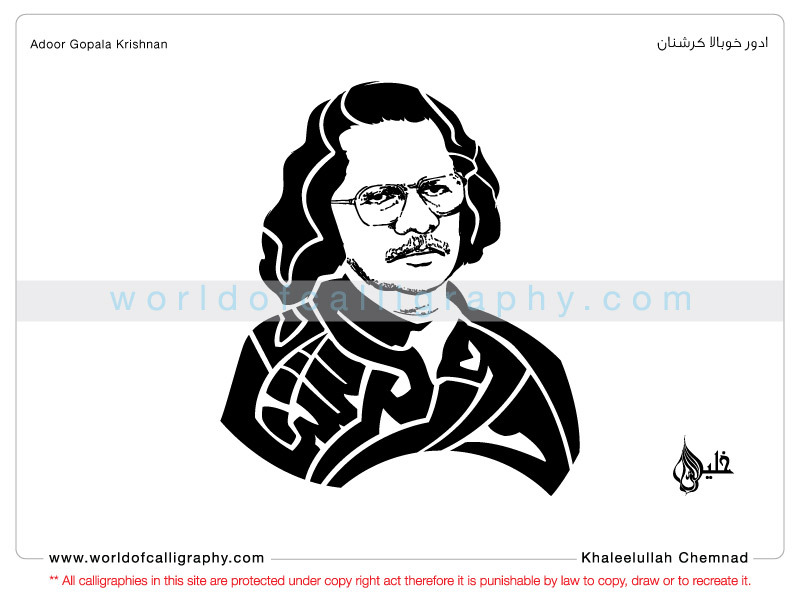 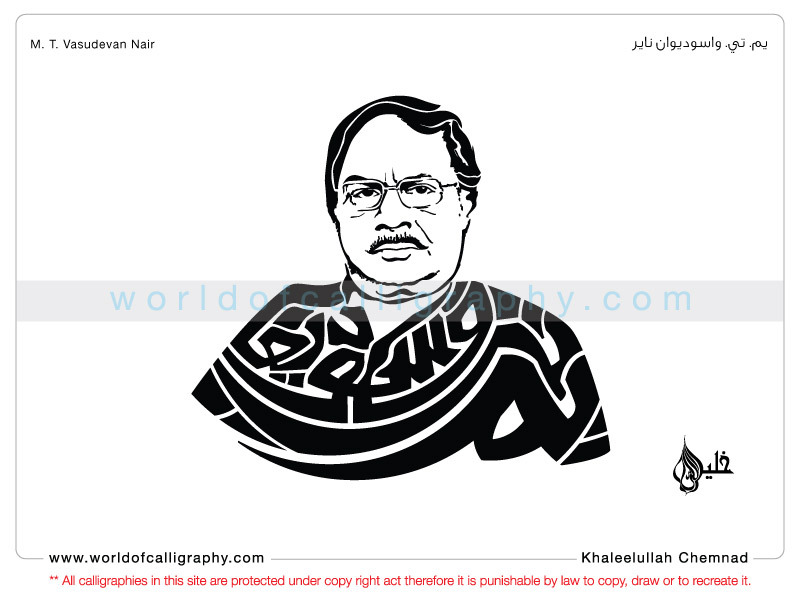 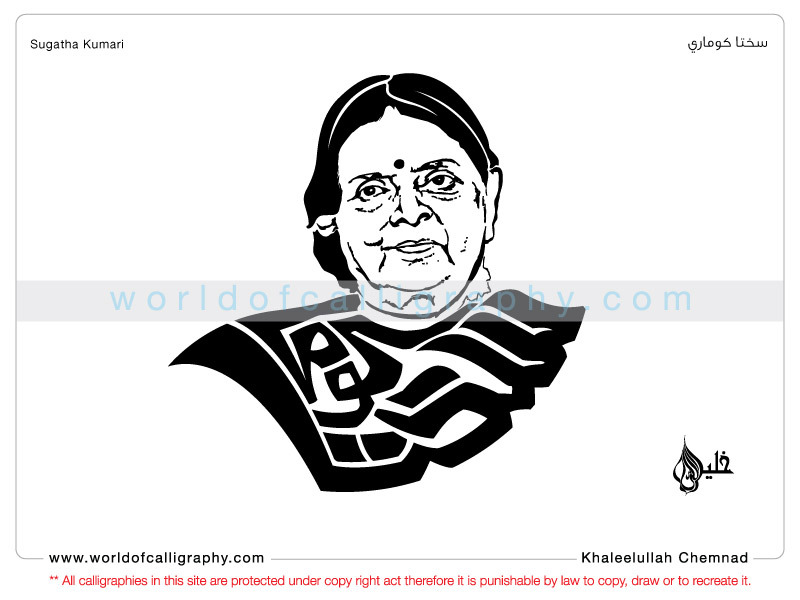 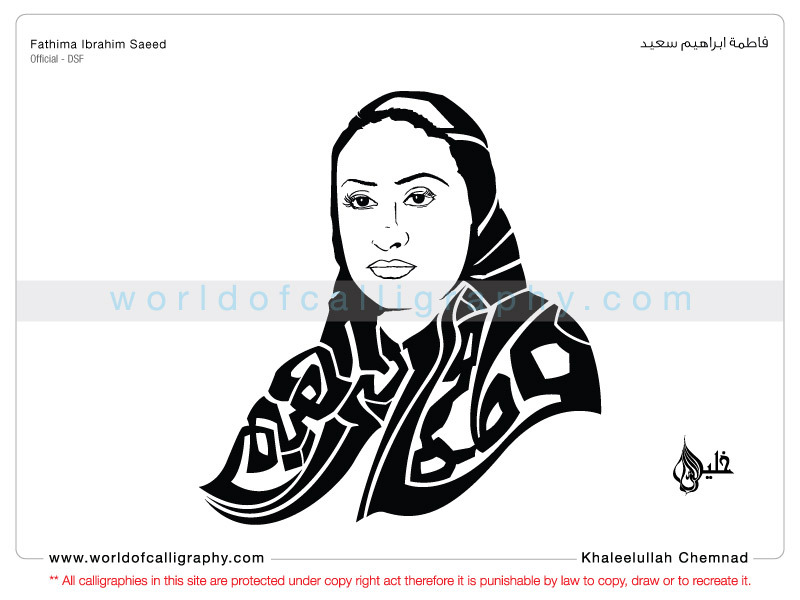 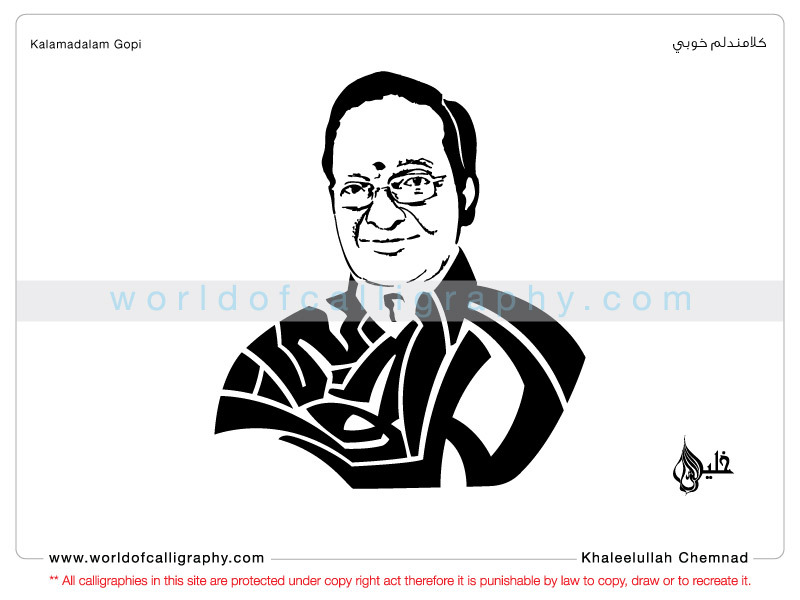 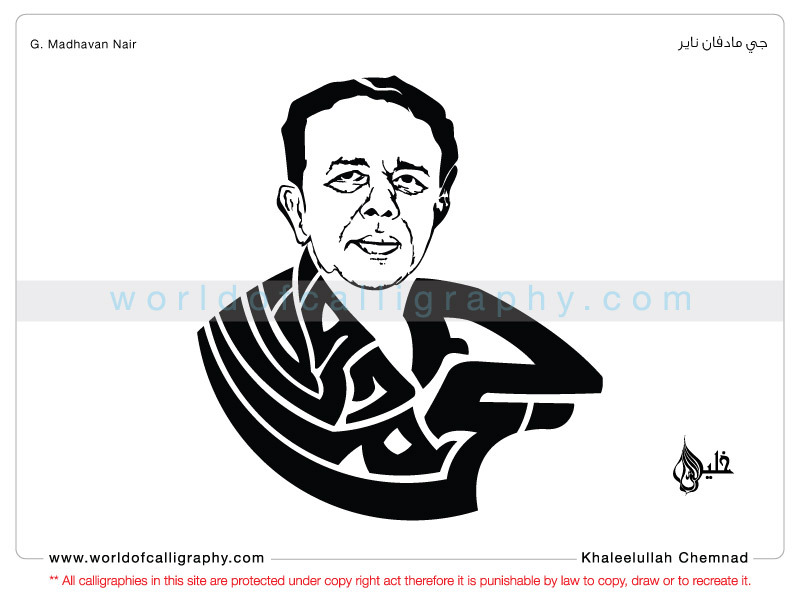 Khaleelullah Chemnad is the first ever Artist in the world who used ANATOMIC CALLIGRAPHY, a style which he has acquired himself through hard work and named it as “Anatomic Calligraphy”. 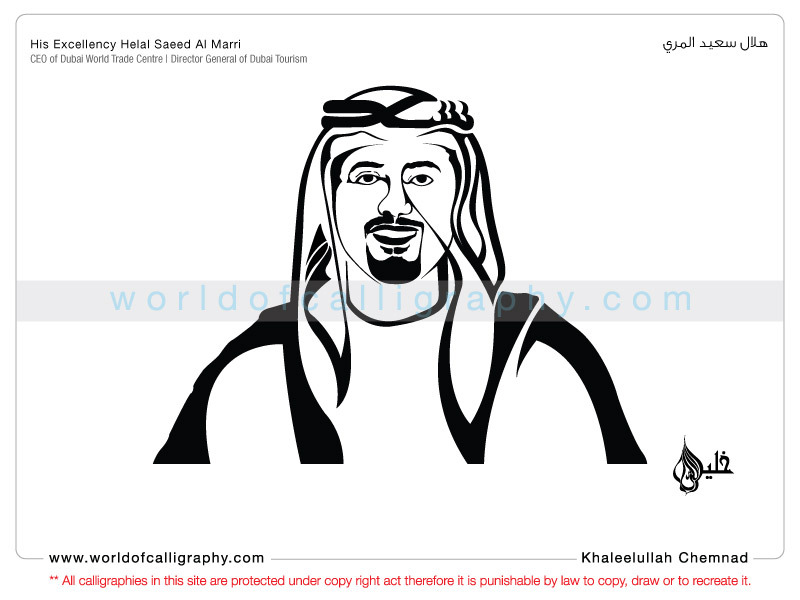 Nowadays a lots of artists are following his style. 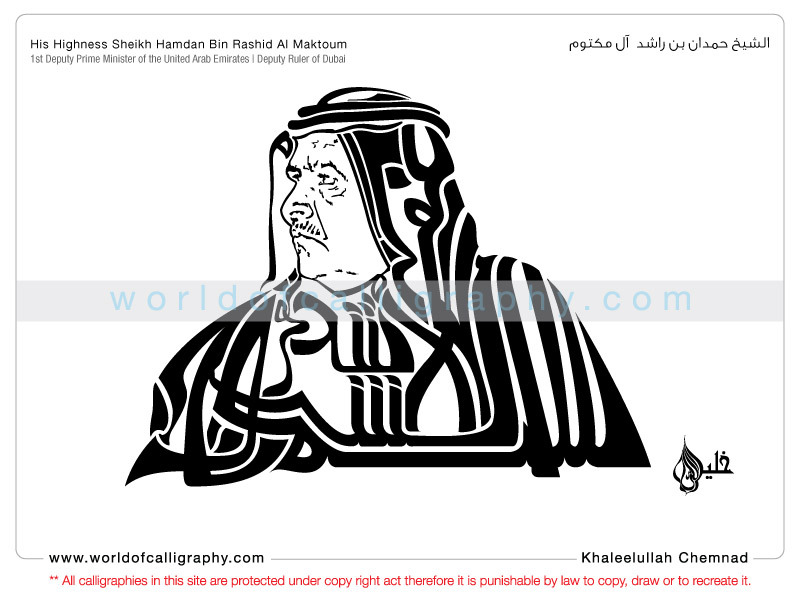 To mark his footprints in Arabic calligraphy , based on his calibre and his knowledge on classic calligraphy Khaleelullah opened new horizons. 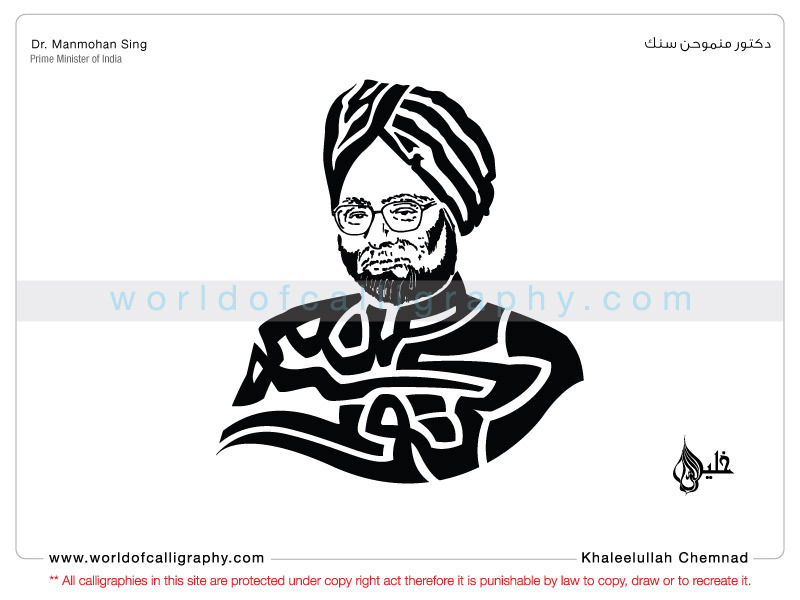 Thus, 23 years back a new art form in calligraphy is amazed the world as it is first in its kind and unique in its beauty. 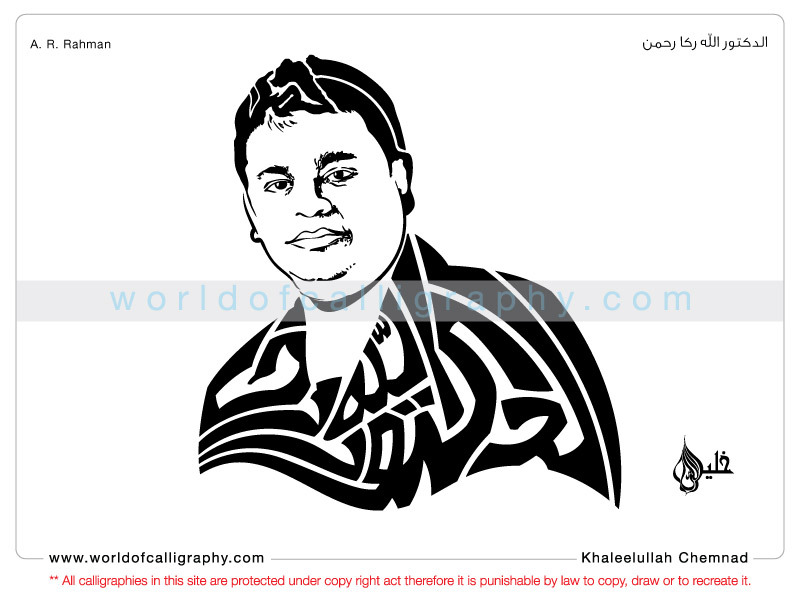 The first of its kind took birth in magic fingers of this Young man – ANATOMIC CALLIGRAPHY . 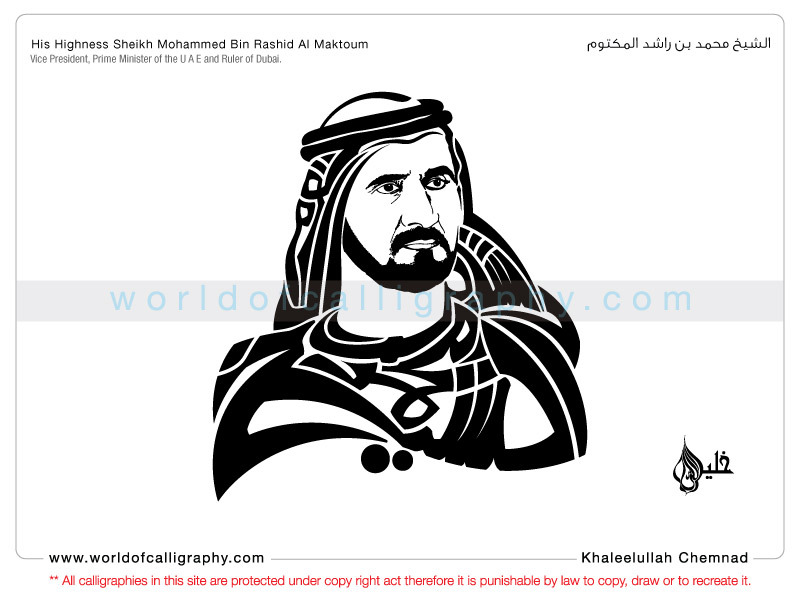 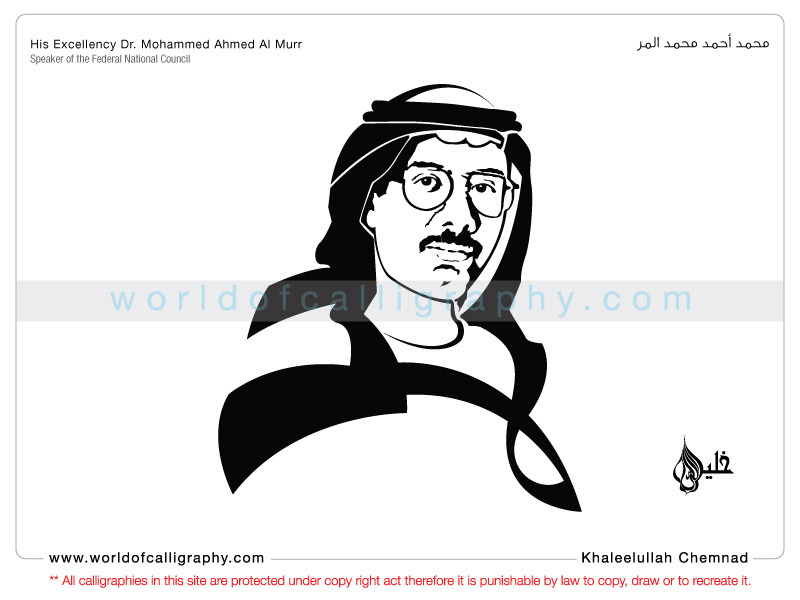 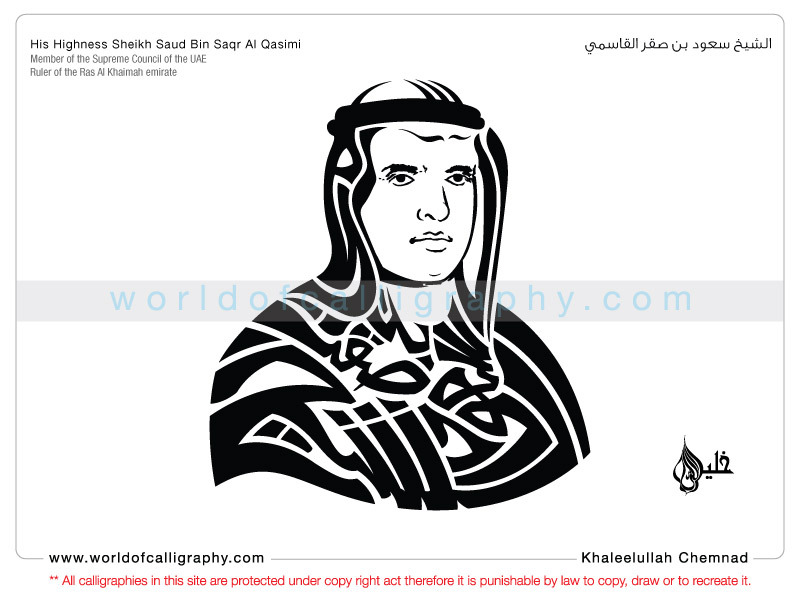 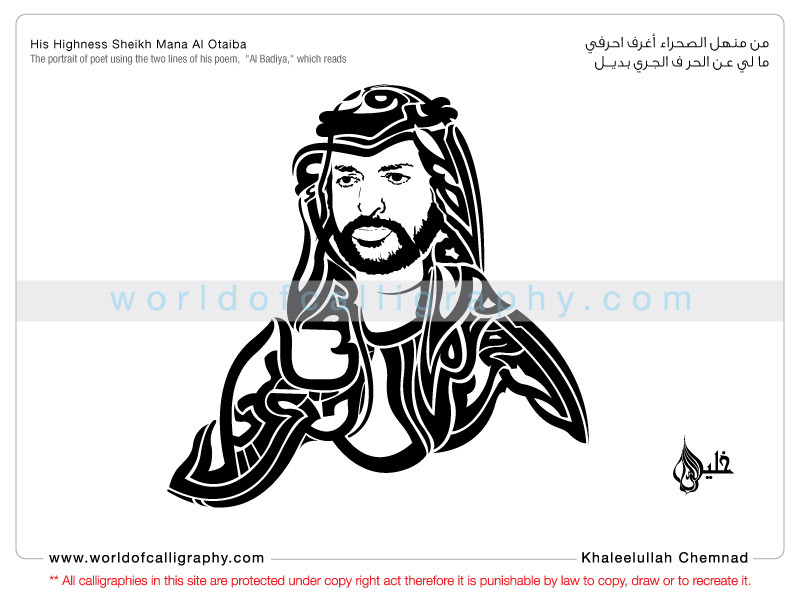 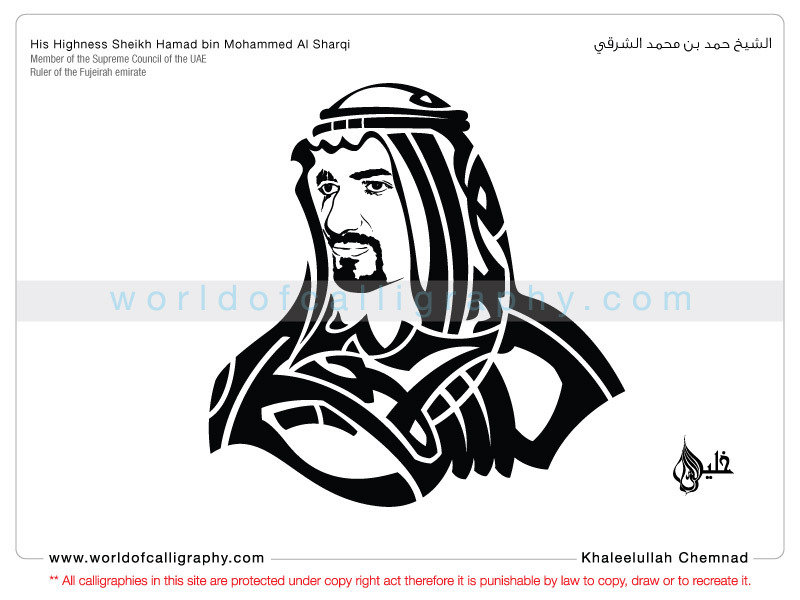 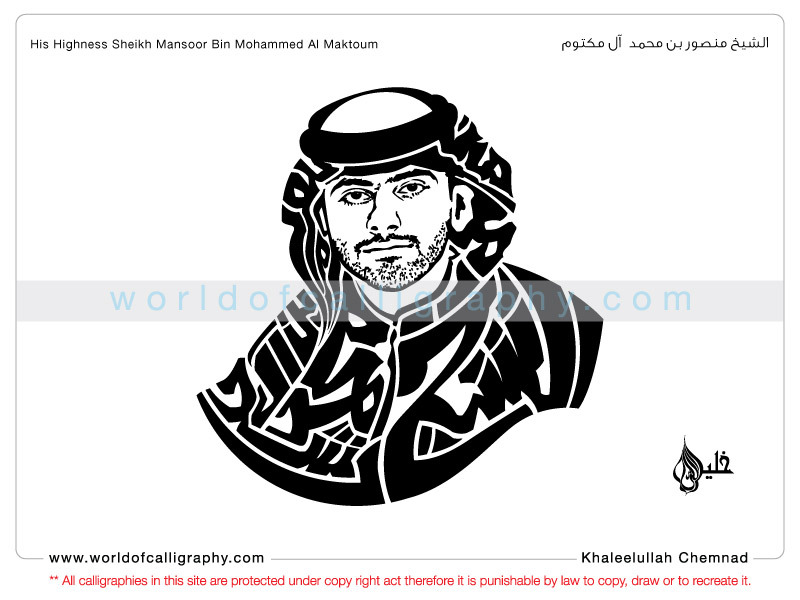 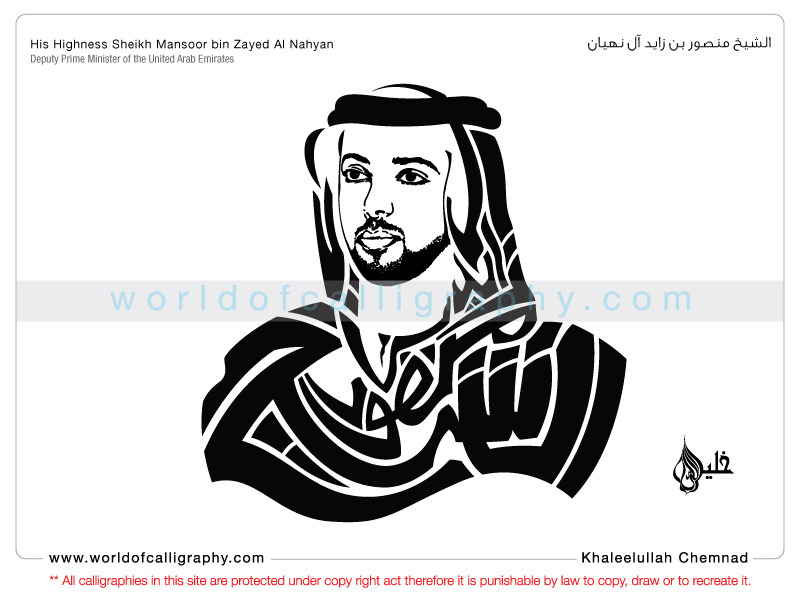 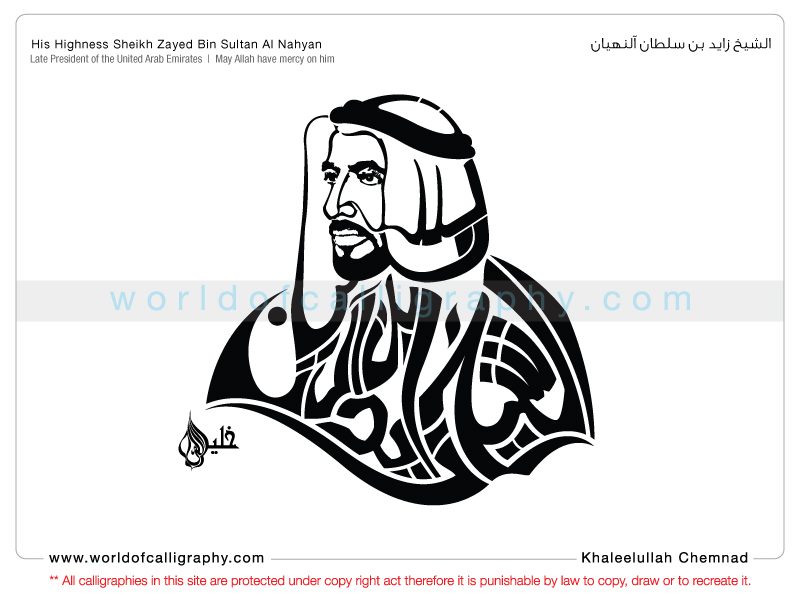 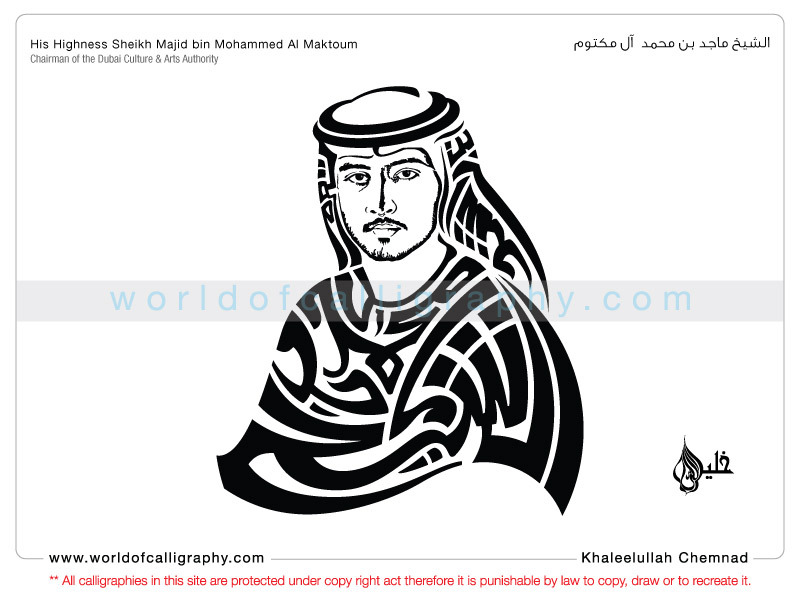 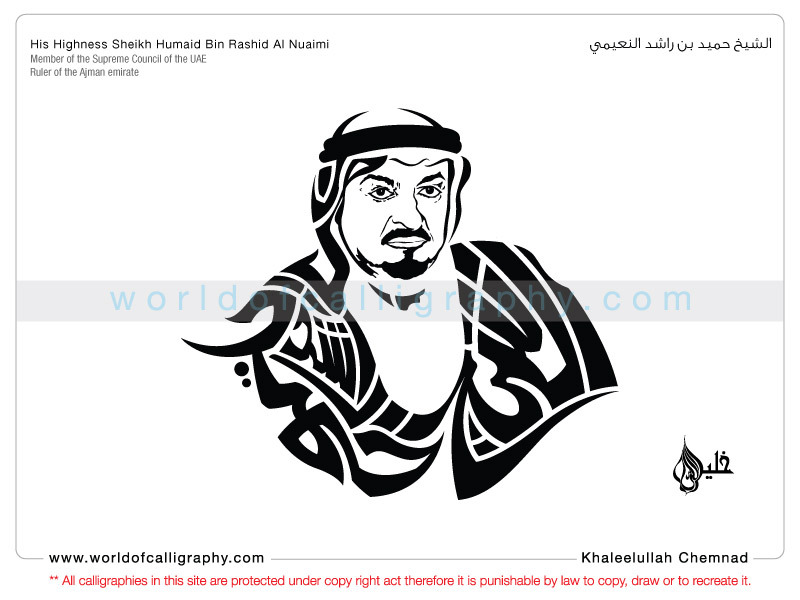 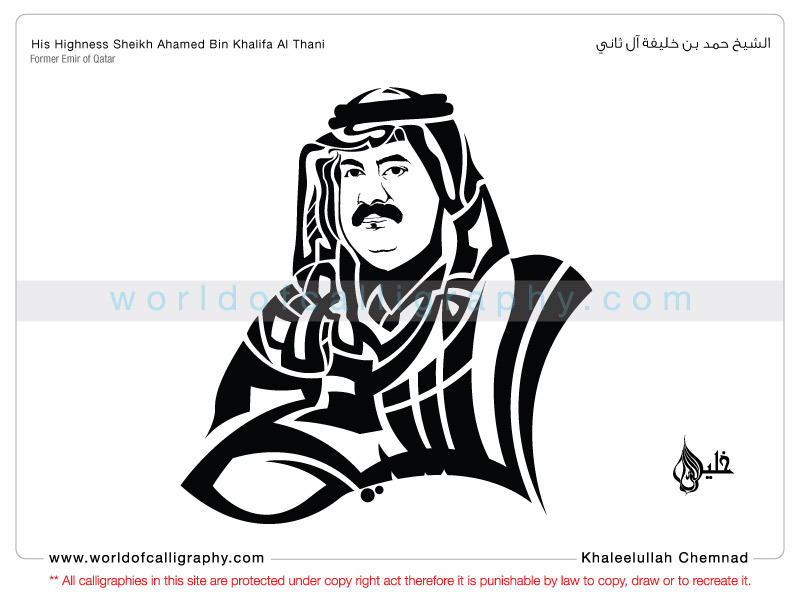 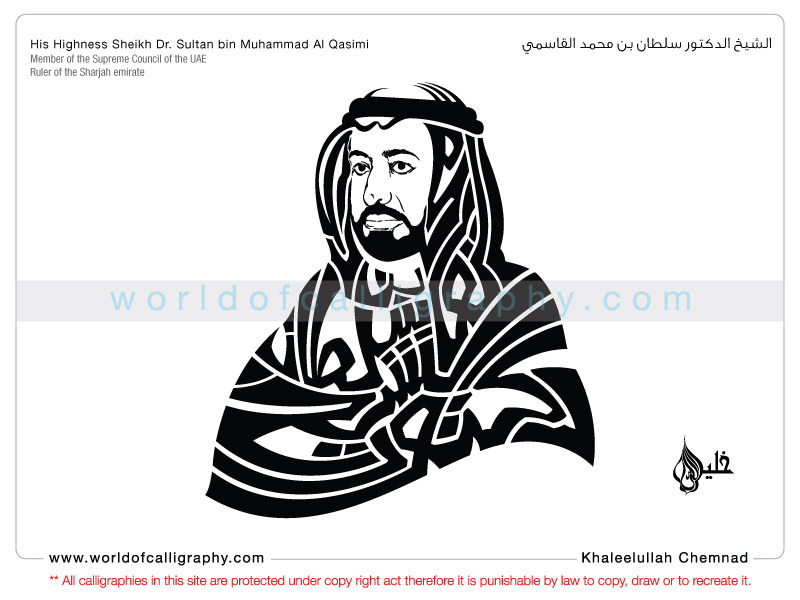 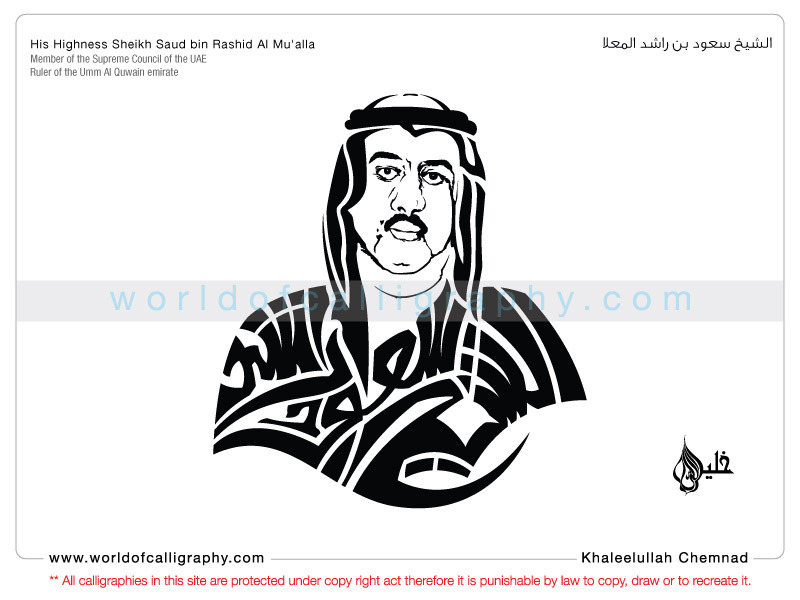 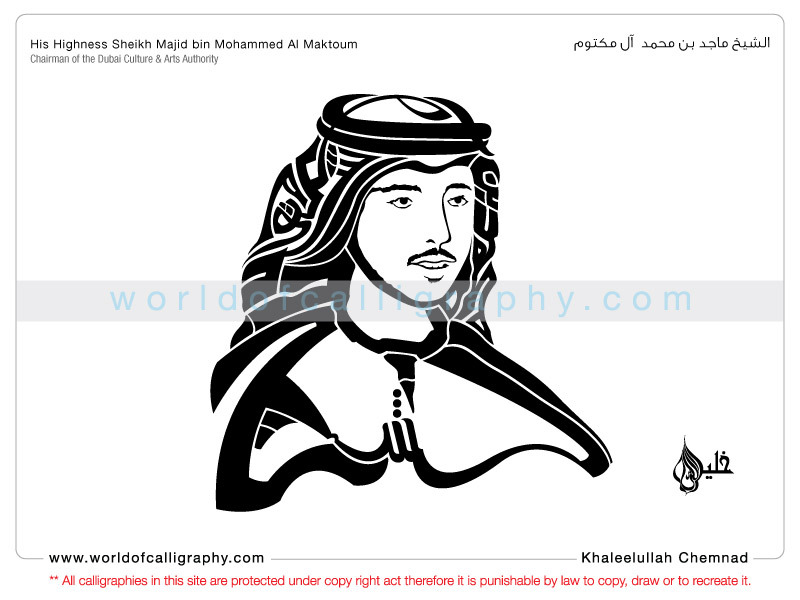 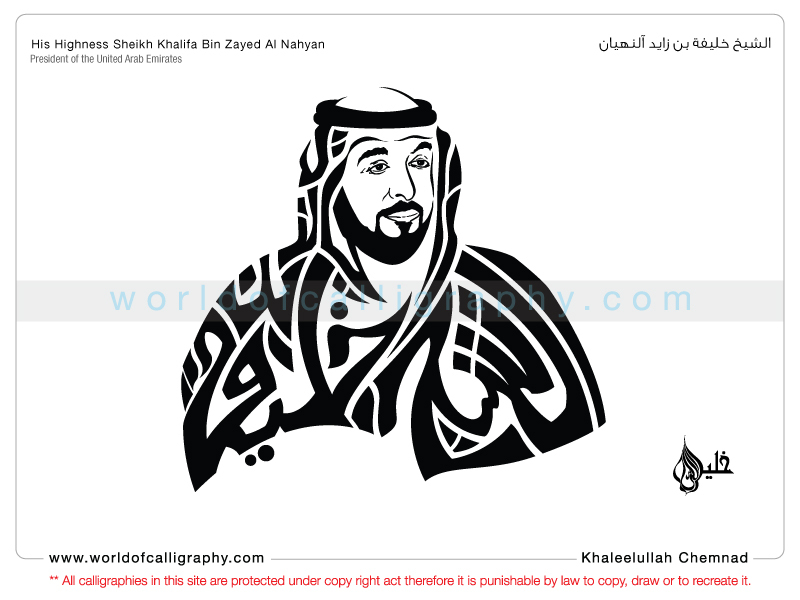 He draw the picture of one of the world’s most visionary ruler – Late Shiekh Zahid Bin Sultan Al Nahyan using the Anatomic calligraphy. 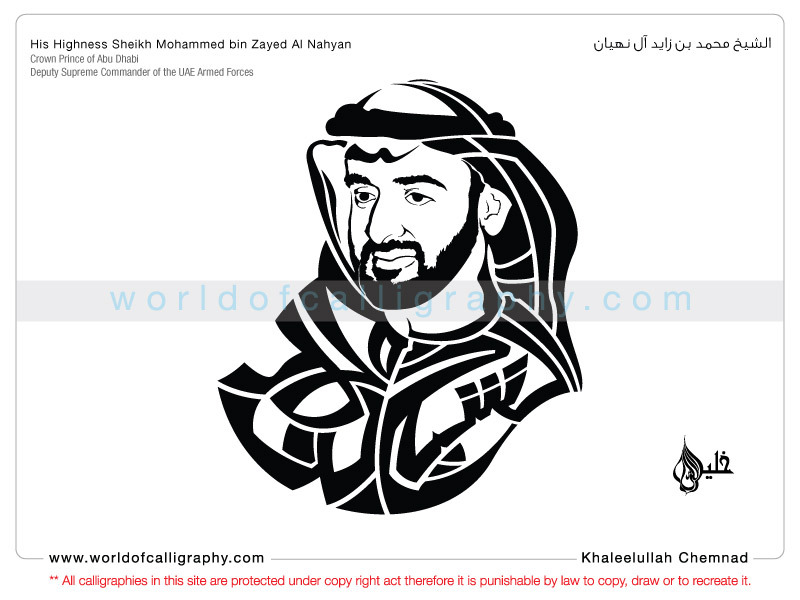 It was the time where only Zoomorphic drawings were in place. 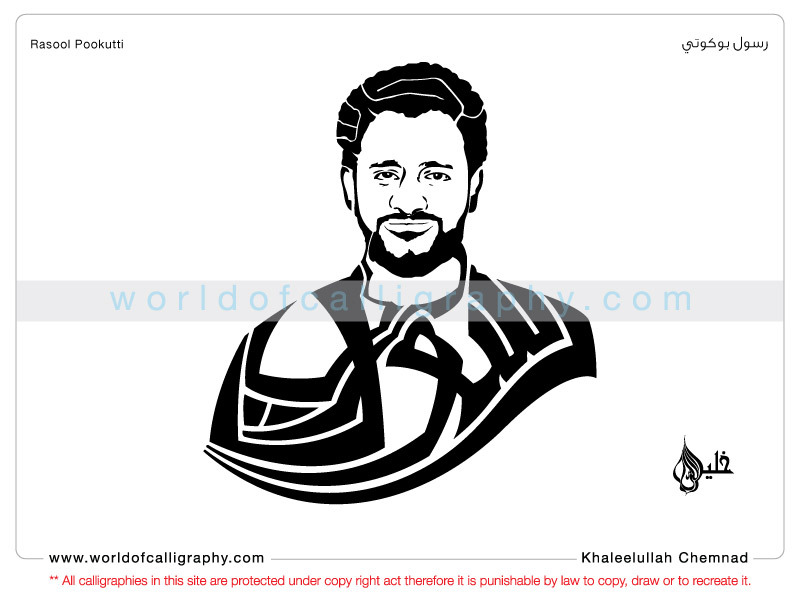 Thus Khaleelullah walked into the hall of fame.